Kamtor is a software developmnet company which provides advanced solutions based on trending technologies such as Blockchain, Deep Machine Learning, Augmented Reality, Virtual Reality, etc. Kamtor was founded in 2017 in a response to very high demand for developers in technologically complex and trending sectors. For a relatively short period of the company's existence, Kamtor’s team has built a high class infrastructure, focused on results and clients' satisfactions. Today, Kamtor's team consists of 50+ developers, who are focused on developing complex solutions for various types of businesses. Kamtor Mission: Provide our clients with the ability to fully realize the potential of their business with the help of some of the worlds newest technology. Confidential relationships with our clients, ensuring non-disclosures over confidential data obtained during projects. Time, we always fulfill our obligation on time. Client interests, which guarantee that our products are high-quality. Currently, the company is home to over 50 employees, the majority of which are certified specialists in software development. Alexey is a serial entrepreneur as well as the founder of several SaaS. 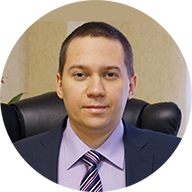 Alexey has been in the IT industry for over 15 years. He has also led and managed the implementation of various IT-projects for big companies like Henkel and Castrol. 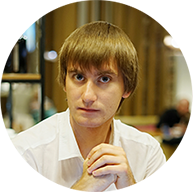 Dmitriy has been developing IT-systems for over 8 years now. Gaining extensive expertise in solving the most complicated tech tasks as well as experience in working on projects for biggest network providers. With over 7 years of experience as the Director of Online Marketing, Julia has obtained vast amounts of knowledge in launching new products, services, and developing marketspaces to accommodate new services.